Your smartphone. Your laptop. Your tablet. Your smart home assistant. Your video game console. These high-tech devices rarely leave our sides, sharing our homes and providing us with entertainment, social connection, help, and so much more. But that helpful voice assistant sitting in your living room and the camera connected to your computer aren’t just helpful. They might be performing more sinister secret tasks. Your devices are capable of tracking your every move – and they’re watching you. From smartphones and smart TVs to intelligent thermostats and video doorbells, it’s now easier than ever to spy on anyone at any time. Your favorite devices are watching you, even recording your movements and words without your knowledge. What’s worse, these smart devices can spread the information they gather online. Fortunately, there are precautions you can take to protect your privacy online. Companies that collect data from consumers presumably do so to improve customer satisfaction. By tracking users’ habits, smart devices can provide more personalized service. Some companies, however, fail to disclose their data collecting practices. For example, TV maker Vizio was fined by the Federal Trade Commission for secretly selling customer data to third-party businesses. While such dishonesty is disconcerting, the bigger issue is that all data stored on a company’s servers remains vulnerable to hackers. Of course, most people aren’t going to give up their smart devices. so we just need to get smarter about safeguarding our electronics and our personal information. In order to protect yourself, you need to understand how each of your devices might be recording you and how you can shut off these functions. Home assistants like Amazon Echo and Google Home work off of voice commands. But did you know that these devices also automatically record every one of your voice commands? Every time you say “Alexa” or “Hey Google,” an audio file gets stored on the Amazon or Google servers. You can delete these recordings by accessing your account online, but you should also turn off the microphone whenever you’re not using voice control features. This can typically be done by just pushing a button on the back of each device. You should especially be weary of any devices with features that keep track of when you’re away from home. The Nest Learning Thermostat, for instance, can be synced with your smartphone to track your location so you always come home to a warm house. A tech savvy thief could use that information to figure out the best time to rob you. Most people have their smartphones with them at all times. Consequently, hacking someone’s phone is the best way to track their location. Be cautious about which apps you install. Any app that tracks your location, such as certain dating apps or GPS apps, can present a safety risk. Like smart home devices, your phone also has a voice assistant. If you have an iPhone, you can shut down Siri in the settings. If you’re an Android user, hold down the home button and tap the “…” symbol to find the Google Assistant on/off switch. Windows Phone users can just tap the virtual assistant app to turn off Cortana. Fitbits and other wearable devices use Bluetooth technology to track users’ movements. While they are great for helping you meet your fitness goals, most wearable electronics have digital identifying addresses that hackers can trace. According to cybersecurity research, Apple Watches are the safest wearable since they regularly and automatically change their digital identifying address. If you own smart gadgets that don’t quite fit into these specific categories, you should still take basic precautions to prevent spying and hacking. The following are steps to take on any and every device you own. Hackers can spy on you through the cameras on your laptop, phone, and gaming systems. Fortunately, there’s an easy way to stop them: cover all cameras with tape. 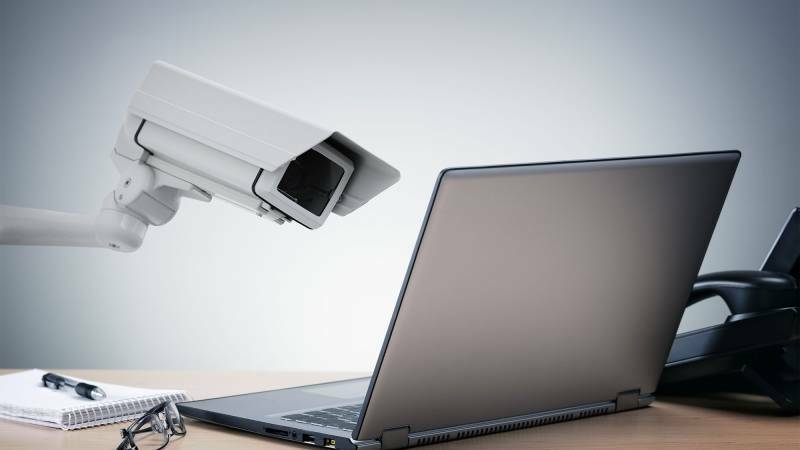 FBI and CIA agents also publicly recommend putting tape over webcams while not in use. Passwords are your first line of defense against cyber criminals. Make sure your passwords are as strong as possible: at least ten characters long and a mix of numbers and case-sensitive letters. Don’t use easy-to-guess passwords like your birthdate or a pet’s name, and don’t use the same password for everything. Two-step authentication provides an extra layer of security. In addition to a password, users must take further action, such as inputting a special code sent to their phone or email, to access their account. Although two-step authentication can be a pain, you’ll know immediately if someone tries to access your information without your consent. Such updates often include safety features to address known security vulnerabilities. Don’t neglect your router; check the manufacturer’s website to make sure you have the latest firmware updates installed. There are always risks involved when you connect to the internet whether you’re using a smart device or a traditional computer. As disconnecting becomes increasingly difficult, we must become more proactive when it comes to cyber security. Don’t let your devices track your movements, your voice, and your most private personal information. Take action – control what your favorite devices know and learn.